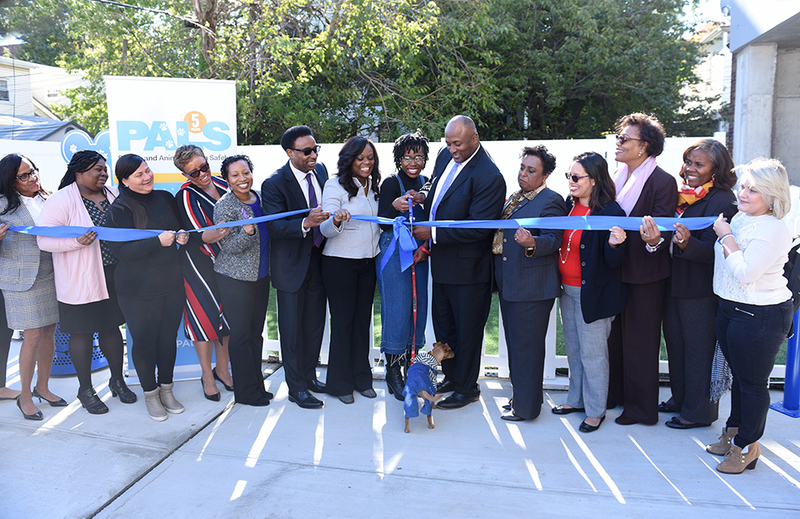 Opening of the 1st Entirely Pet-Friendly Domestic Violence Shelter in the U.S. Residents – Twice per year, PALS residents will have access to a short-term group session about human and animal healing. Quarterly, residents will be invited to attend recreational activities, such as a facility-wide barbecue or a trip to a local animal shelter. These events will incorporate tips for animal care, information about resources available for pet families in New York City, and introductions to the animal welfare profession. Special guests will be invited to these sessions, including therapy animal teams, professional dog trainers, and other animal care workers. Children – Animal-focused programming will be integrated into childcare provided at PALS Place. Once per month, PALS staff will join childcare staff to provide educational sessions on safe interactions with animals and how to care for pets. Special guests will be invited to these sessions, including therapy animal teams and local educators. Once per quarter, children will be invited on a field trip into the community to learn about zoo animals, farm animals, and local wildlife to foster an appreciation of the natural world. Staff – PALS Place will employ over 30 administrative, clinical, and operational staff trained in creating a healing environment that helps adults, children, and pets recover from trauma and prepare for independent living. This includes staff training on animal body language and offering ongoing professional development opportunities like tours of local animal shelters or presentations from animal welfare experts. Every three months, staff will be invited to share their ideas for improving and expanding PALS Place programming via survey. They will provide ongoing support of PALS families, including coordinating free pet medical care courtesy of the ASPCA and identifying pet-friendly housing options for survivors after shelter.